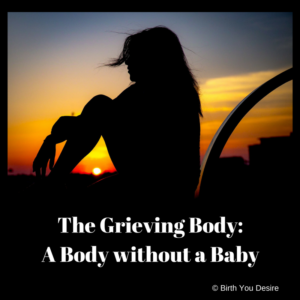 After a miscarriages stillbirth the body grieves. There is the emotional and spiritual pain of loss of living in a no-longer pregnant body. Depending on the length of the pregnancy the reflection in the mirror may appear suspended between being pregnant and not being pregnant. Today’s society does not publicly talk about loss, miscarriage, and stillbirth. And no one talks about the post-miscarriage body. Instead we focus on the raw intensity of loss and the perception of feminine failure. The loss mother needs compassionate care that addresses all three aspects for healing: mental, emotional, and physical. These mothers needs to mourn the loss of her baby, the loss of her hopes and dreams, and the loss of the family she imagined. Loss of a child is complex. Sleep– Everyone reacts differently to stress. Some mothers may have difficulty sleeping, falling asleep, or staying asleep. Others will sleep frequently. The Bach products called Resume Remedy and Rescue Sleep can be effective aids for this time period. Appetite– Like sleep, some women will stress eat in stressful situations and others will avoid food. Having small snacks, like trail mix or hardboiled eggs, placed around the house can help to nourish the healing body. Cramping– After a vaginal delivery, it is common for the uterus to cramp for about 3 days post-delivery. Motrin and homeopathic remedies can assist in healing. Lochia– Post-delivery bleeding comes from the placenta site. It starts off bright red, slows to pink or brown, and then stops over three to five weeks. Lactation– Starting in the second trimester the breasts prepare for birth. So, it is not uncommon to lactate after delivery. Some women choose to dry up their milk with antihistamines and sage tea. Others may choose to express and donate their milk to help other preemies or newborns as a gift in their child’s memory. My hope is that understanding the normal process of how the body grieves may help women to be kind to themselves. And women can feel safe to respect their body’s grieving cycle as they honor their emotions.